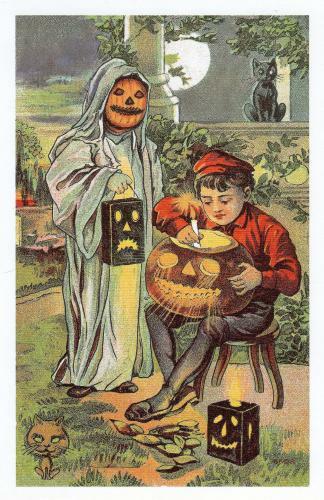 Love this HALLOWEEN card, the vintage feel reminds me of one of my greatest Halloweens which I spent on the East Coast. A memorable Halloween Party in a Barn in the countryside in Pennsylvania, so authentic, I was a mime!!! !